Richard Sargent is the Production Manager at Accent Studios. 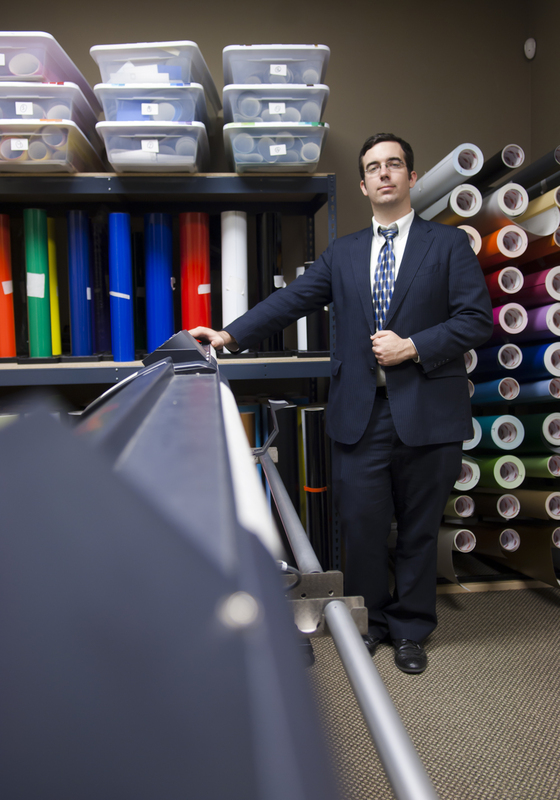 He is in charge processing each order from preparing the cut files, to shipping, and is part of our sales team. Richard loves to bring excitement to every aspect of his life. 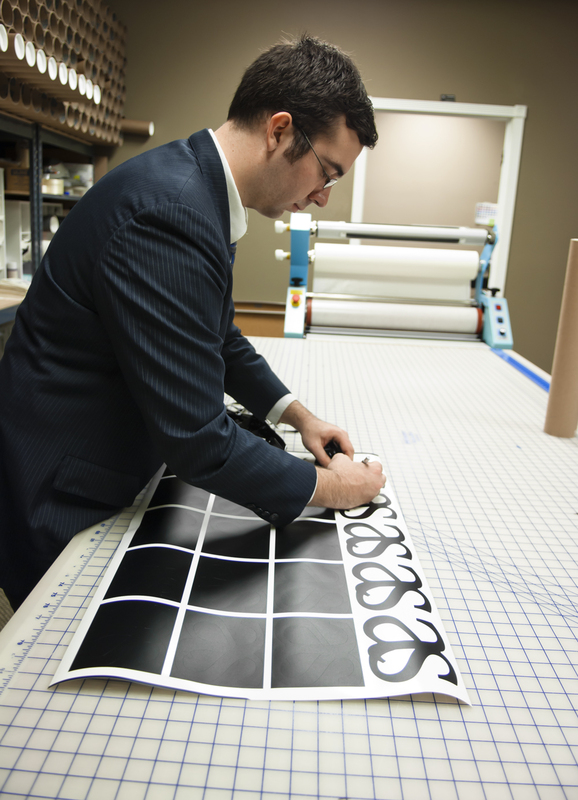 His energy and enthusiasm for making wall decals is a great asset to Accent Studios. My name is Richard Sargent, and I'm the Production Manager at Accent Studios - Vinyl Wall Decals. I started off just a year ago as a part-time team member, hired on to 'weed' the excess vinyl from the products after they had been cut out of the machines. Over time, as I began to take a real interest in the production programme, I developed tons of questions on how the whole process worked, and I soon began to learn all aspects of the company. The more hands on I became with each part of the process, I grew a deeper appreciation for the work that really goes into creating these wall decals. My appreciation has grown and this is now one of my passions in life. I often think people call what they do for work 'a job', but it's not a job when it's something you love to do every day. The reason why I love making wall decals, is the fact that I'm a part of bringing excitement and joy to many households each and every day, with our decals. Most recently, I served as customer service manager for a major corporation. We handled thousands of customers with a high level of satisfaction. That was a joy to know we could help everyone with their needs and products. -We are all about providing top quality in products, very high standards in designs, and providing the best customer service. I truly believe that Accent Studios not only meets this criteria, but has a real shot to fulfill its mission to be the clear leader vinyl wall decal designs. -I believe having a passion in every aspect of your life is needed, to enjoy every moment that life has to offer you. -For every trial, there is a lesson to be learned. Only when you stop to recognize what is really going on, is when you truly learn what life is all about. -I have had a lot of great inspirations in my life that have helped me to understand and develop my talents. -I strongly believe that everyone has the ability to do amazing things in life. We are all given the same amount of time everyday to live, and to inspire others. It is up to you to make the very most of it. I'm really looking forward to a long journey with Accent Studios. I'm proud to be part of this team! Each day begins as a new adventure and ends with a feeling of accomplishment. I have ordered from Accent Studios a few times and have worked with Richard personally when I had a custom order. He was kind, understanding, and very prompt in answering my questions. One time in particular, I was working with another company that had messed up my order, they did nothing to remedy the error. I turned to A.S. after a friend referred me. A.S. not only helped me meet a deadline with a new order but helped me fix the other company's error! I will always use Accent Studios.